I recently updated to an iPhone 6S and I am obsessed with it. Since I have a lot more space on my current iPhone, apps have been my best friend. 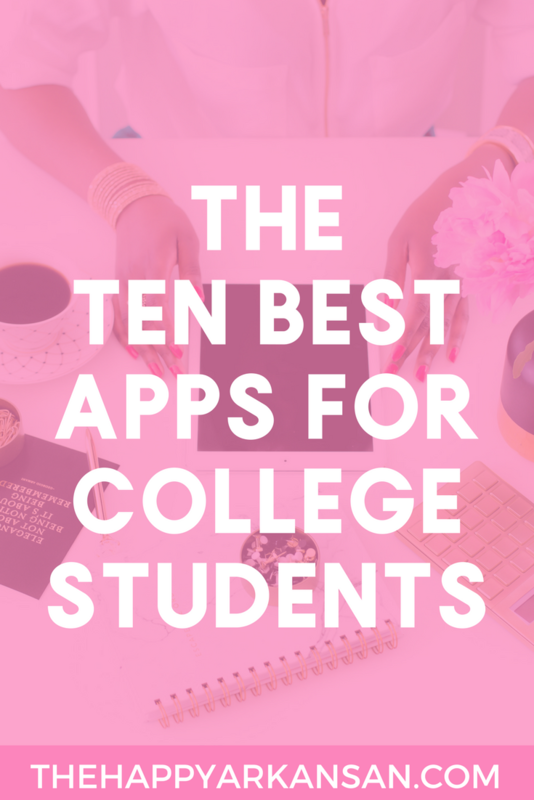 Today I am going to share some of my favorite free and paid applications with you for college students. I’d love to know if you decide to check out any of these apps and if you love them as much as I do. Enjoy! The first app that I want to talk about is GroupMe. If you have ever done a group project, you know how difficult it can be to get everyone together and coordinate tasks. I really love GroupMe for this aspect. It’s a pretty easy app to upload and use for Group projects. With GroupMe. You can create events/meetings, share pictures, gifs, and other fun things. You can like comments, and it’s a great way to share your message with groups. This can also be beneficial if you don’t necessarily want to give out your number to other group members. You can create a GroupMe instead and add people with their email address. Once the Group project is done you can easily either leave the group if you are a member or delete the group if you own a group. App Alternatives: I also really like Slack for group chats. This app is great, but it definitely takes a little more to set up a Slack room than it takes to set up a room on GroupMe. 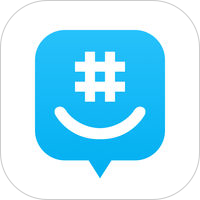 If you are in a time pinch, I encourage GroupMe over Slack, but if you will be collaborating for a long period of time then I encourage you to check out Slack. If you have a cohort or an officer team then Slack may be a better option for you and your team. The next app that we are going to discuss is Quizlet. I think that every college student knows and loves this application. Quizlet is wonderful for studying on the go, and there are so many awesome ways that you can study. Cards: These are the simplest form of learning on Quizlet. These are the simple flashcards that you know and love. Question/phrase on one side and the answer on the other. You can flip through these and study as much as you want. Learn: A fill in the blank study game which allows you to take the cards you learned and fill in one side from memory. Match: A matching game where you are given 12 cards and asked to make 6 matches based on the cards. You can keep playing the cards while trying to beat your time and adding different cards into the mix each time. Test: A literal test featuring written, multiple choice, and true/false questions about the cards in your deck. This can be really great to do a quick knowledge test of how well you know a deck of flashcards. Quizlet has so many great features and can be amazing if you love using flashcards to study. It is so easy to make new decks on your phone (you can even add pictures to the decks!) Also, there are TONS of pre-made decks so if you ever just have a few minutes and want to test your knowledge of various subjects, it’s easy to do that on Quizlet. The next app I am talking about is one of the first paid apps on this list, but let me tell you, it is so worth it. 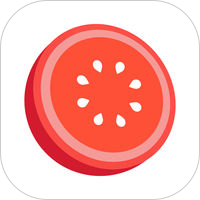 You all know my love of the Pomodoro Technique, and I have been looking for a great app that I could use for a while. I have been trying to find an app that works for me, and this is the first one that I have used that works well. In the past, I have used the timer app on my iPhone, but to be honest, that has its downsides. The timer app isn’t really made to be used to cycle through multiple timer times. Each time I wanted to set a 5-minute timer after I set a 25-minute timer, I had to go through a lot of unnecessary hoops. This timer is so seamless between 25 and 5-minute timers that it’s unreal. You can easily adjust the length of your Pomodoro focus sessions within the app, as well as your breaks. The one thing I don’t love about this app is that there is a ticking featuring, but you can easily turn that ticking feature off. For some, the ticking feature gives them a sense of urgency, but for me it’s just a distraction. There are so many settings that the whole app really allows for a lot of customization to your Pomodoro experience. There are also some great charts that allow you to really tell how focused you have been. I am not really sure if there is a great app alternative for Android, but I use this one on my iPhone and it works amazingly. If anyone knows of any great Android Pomodoro/focus timers let me know in the comments because I’d love to know what you use! Note taking is extremely important in college. Having a great note taking app is important so that you can easily jot down important thoughts, capture images, record sayings, and more. The reason I love Evernote is because it is like your notes cloud. You can access your Evernote notes across multiple platforms so they don’t just live on your phone, but they also live on your iPad, computer, and whatever other devices you have. While the iPhone notes app is great, it is more difficult to access them across multiple platforms (especially if your phone is the only Apple product you own.) 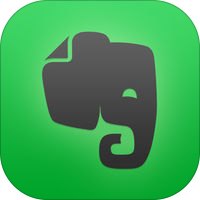 The Notes app is definitely great if you just want to access your notes on your iPhone, but if you want to be able to pull them up anywhere automatically, I really encourage the Evernote app as your notes app of choice. I know what you are thinking, “Amanda, what about Apple’s Maps app. Why are we downloading so many apps that are already on our phone through Apple?” Well, I say you might have to get used to that, because I have a few apps on this list you may be able to somewhat get through Apple. Two, I just like the interface of Google Maps a whole lot better. 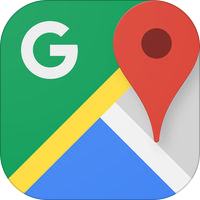 The directions are easier, the route navigation is easier (hello avoiding traffic), and it’s just a really cool application all around for navigating your college town. Apple’s Maps app is great, but it’s quite basic in my opinion. You can really do a lot with Google Maps including storing a home and work address; figuring out where nearby gas stations, grocery stores, pharmacies, and more are; and you can even download areas to your phone so you can easily view them offline. Overall, I really dig this application. It’s nothing new, but it really works. Yes, you could easily just use Apple Music. In fact, I am using Apple Music as my music player of choice right now. 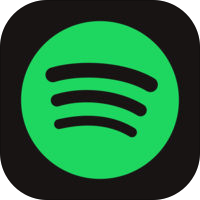 I’ll always have a soft spot for Spotify though, because I started using Spotify while it was still in it’s North American Beta stage. I love Spotify, even over Apple Music. I feel like Apple Music puts way more emphasis on playlists, while Spotify puts more emphasis on albums. Music is just a great thing for any college student. You can listen to classical music while you are studying, a workout playlist while you are hitting the gym, and a party playlist while you get ready to go out. Both Spotify and Apple Music create great experiences. Spotify is free to use if you want to deal with commercials and not being able to really pick your songs. I highly encourage you to look into Spotify Premium for Students as you can get Spotify Premium for $4.99 per/month. This is such a great deal in my opinion, do you remember when we would buy CDs all the time and they’d be $10 a piece? The next application we are going to talk about is Audible. I LOVE Audible. Right now I am sitting on two Audible credits (if you have any book recommendations leave them in the comments because I don’t know what to do with them.) So, Audible isn’t free, just the application is free. 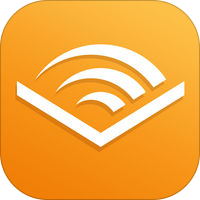 Audible has many amazing plans to get you the best audiobooks for great prices. Right now I am on the 1 Audiobook a month for $14.95 plan. Audible books can be great for personal or school related reading. For example, right now I am listening to a book called Dreamland on Audible that I am reading for my Criminal Behavior class. I am an extremely slow reader by default, so using one of my Audible credits to get this book on Audible was a great investment for me. Sleep is one of those things we all need. Apple’s alarm is getting better, but it doesn’t really have anything on Sleep Cycle. 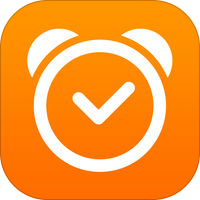 Sleep Cycle is free on Apple, but you can pay for premium to get some great features. One of my favorite Premium features in this app is the sleep aid feature which plays soothing music while you fall asleep. I love this feature because you can also choose how long this plays. For instance, if you only want it to play for about 30 minutes while you go to sleep, you can make that happen. This is great if you don’t want your phone to play music all night, just until you get into a deeper sleep. You can also toggle music back on during the night in case you wake up and can’t get back to sleep. Another feature I love is the wakeup phase. Sleep Cycle monitors your sleeping patterns throughout the night and wakes you up at the best time during a window of sleeping so that it doesn’t wake you up in your deepest sleep. This can be beneficial because it means you are less cranky when you wake up, and more energized. Sometimes this means that you will wake up at the last minute of you wake up phase, but also sometimes you will wake up at the beginning of your wake up phase. This may be hard for some people to handle, but if your overall day will be better, why not try to wake up at the best time for your body. The next app we are going to talk about is Trello. There are so many great checklist and to-do list apps out there. Trello is great if you are just creating a to-do list for yourself. You can add a lot of great cards to your to-do list; separate them as a to-do, doing, and done; add pictures to your to do’s; add dates and so much more. 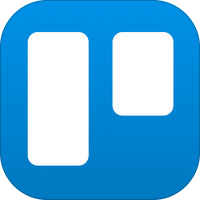 The amount of productivity you can manage with Trello is astounding. App Alternatives: I also really love Asana as an application for checklists and to-dos. It can be really difficult to keep up with though if you are just using it for yourself. If you have a team or group project though, Asana is definitely one of the most helpful applications I know of for group work. Last, but not least, we are going to talk about one of my favorite GRE apps of the moment. 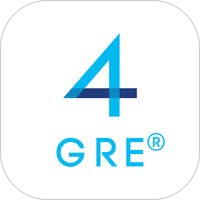 Ready4GRE is just one of the apps I am using the practice for the GRE. I have finally set a test date, and I am really excited to finally get this test out of the way. It’s going to give me so much anxiety, but I am excited to start applying to Ph.D. programs, so this is the first step. I have tried a lot of GRE applications, but I really like this one because it is one of the most stable ones I have used over these past few weeks. They have great lessons and reviews on each lesson, plus they also have daily review questions for the quantitative and verbal sections of the test. I really encourage anyone looking for a GRE app to check out this one, plus it’s free. I am really interested in knowing what your favorite applications are. I am always looking for more apps to add to my phone. What apps do you think all college students should have on their phones? Yaaas!! I recently discovered Evernote and I love it. I used to be a die-hard Google Doc fan, but I find this so much prettier to look at. They also have a pretty high data limit, too, for the free plan. It’s like a triple threat, haha.